You’ll still need a cable TV subscription, but can leave the clunky cable box behind. Fox is making it a lot easier to watch NFL games without being tethered to your cable box. The network says it will stream 104 live NFL games this year through the Fox Sports Go app and FoxSportsGo.com. Provided you get Fox through a supported pay TV provider, you can stream in-market games by providing your login details. In addition to regular season games, Fox will also stream an NFC Wild Card game, an NFC Divisional Playoff game, and the NFC Championship match. Most major pay TV providers are on board, including Comcast, Time Warner Cable, DirecTV, AT&T, and Verizon FiOS. The one big exception is Dish Network, which doesn’t currently have an agreement with Fox Sports Go. Why this matters: Although Fox streaming isn’t of much help to people who don’t have a pay TV subscription (and can’t borrow a login from someone who does), it’s still a welcome step in freeing subscribers from the cable box. With Fox’s app, you’ll be able to watch live games from anywhere both inside and outside the house. There is one major issue with Fox’s NFL streaming: You still can’t watch from Fox’s app on smartphones. Presumably, that’s because Verizon Wireless has exclusive rights NFL games on its phones. If you want to stream using the device in your pocket, you must be a Verizon subscriber. Fox isn’t the only network streaming NFL games this year. CBS is streaming seven games (with no cable subscription required), while NBC will stream its Sunday Night Football broadcasts. But Fox is going further than other networks by streaming day games on a regular basis. Although a pay TV subscription is required, you should be able to watch live games with just basic cable, rather than a more expensive bundle. 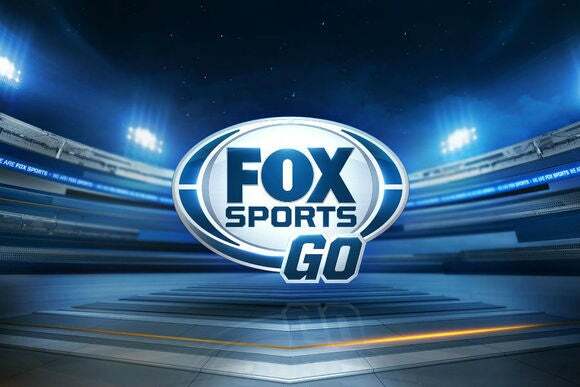 A Fox Sports representative said as long as your pay TV package allows you to watch NFL games, you can stream them through Fox Sports Go. This article has been corrected to note that Fox Sports Go is available on Amazon's Fire TV and Fire TV Stick.